Republican Maine Gov. Paul LePage’s effort to build a privately run 21-bed stepdown unit for Augusta’s Riverview Psychiatric Center on state land in Bangor has quietly resumed with a developer’s permit application filed with the Bangor Planning Board. 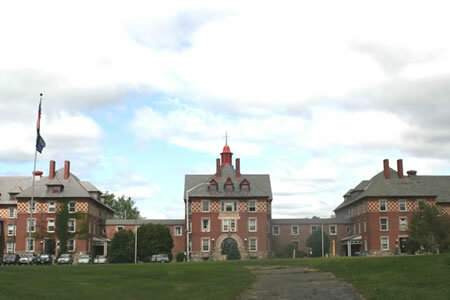 Bangor Holdings LLC in Hermon submitted an application and site development plan on May 30 to build a one-story, 9,536 square foot secure forensic rehabilitation facility on State Hospital Drive on the grounds of the Dorothea Dix Psychiatric Center. Although the application sought a site review, Bangor Planning Officer David Gould said the proposed 2.32-acre site would need a conditional use permit in order to be built in the city’s government institutional service district. Gould said the application has not yet been added to an agenda yet for the Planning Board, which meets twice a month. It’s unclear whether the applicant would ultimately own the land and/or the building itself, Gould said. The state needs to build a facility to house residents found not guilty by reasons of mental defect or insanity to free up space and resolve safety issues that led the Centers for Medicare and Medicaid Services to decertify Riverview in 2013. Federal regulators disallowed the state from using federal funds at the facility, but the state continued to spend $51.1 million in federal funds between Dec. 31, 2013 and March 31, 217, according to a state auditor’s report that warned the money could have to be paid back. LePage’s original plan was to put the new facility next to Riverview in Augusta – at an estimated cost of between $3.5 million and $4 million. That was blocked by a 3-3 party line vote by lawmakers in November 2016. Democratic Attorney General and gubernatorial candidate Janet Mills then said LePage needed legislative approval to build a new state facility anywhere. LePage then looked 75 miles north to state-owned land at 159 Hogan Road in Bangor. But the city imposed a moratorium on developing secure psychiatric facilities after public outcry over the proposed site’s proximity to an apartment complex and several single-family homes. A May 2017 request for qualifications for a developer-builder-design team indicated the state would sell the land for a suggested list price of $495,000 to a developer that would build the facility and then lease it back to the state for a term not to exceed 30 years. The proposed new site on State Hospital Drive “would sit in the front yard of the hospital proper” of Dorothea Dix, said architect Richard Borrelli, project manager, healthcare studio director and principal with WBRC in Portland. Once the necessary approvals were obtained, the construction timeline would be about nine months, he added. “This is an unusual facility because it’s not a psych hospital, it is not a nursing home, it is not a detention facility, but it has characteristics of all three,” Borrelli said. Bangor Holdings LLC was formed April 28 with its registered agent listed as Bangor attorney Hans Peterson, who did not return a phone call seeking comment. The LePage administration has intended to have the new facility staffed and managed by a private contractor. On Jan. 30, the state selected Correct Care LLC of Deerfield Beach, Florida, for a $60.3 million conditional contract over 10 years to provide services at the stepdown unit with an address of 219 Hogan Road. The state asked Correct Care to supply three years of audited financial statements before starting contract negotiations. LePage is prevented by term limits from seeking re-election this year. The Department of Health and Human Services (DHHS) did not respond to requests for comment. “There’s not any communication out of the Department of Health and Human Services. There’s been no public stakeholder process,” said Jenna Mehnert, executive director of NAMI Maine. NAMI Maine wants to see the establishment of an independent oversight board with full access to treatment plans for patients at the facility. “We don’t believe that DHHS has the capacity to make these decisions without the peer and family advocacy community engaged and have it turn out to be in the best interest of the individuals it’s intended to serve,” Mehnert said.